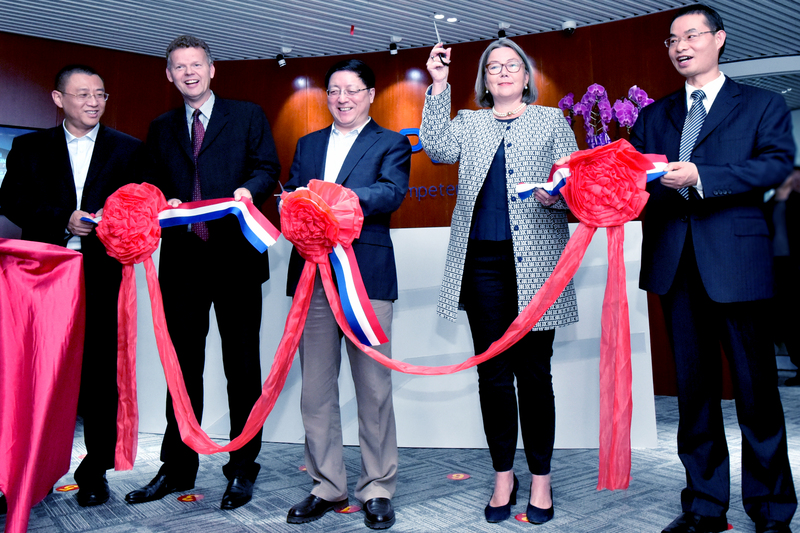 Nijmegen, The Netherlands and Hefei, People’s Republic of China – October 20, 2016 – Ampleon today announced the opening of its RF Energy Competence Center in Hefei, PRC. The company is recognized as a leader in the RF Energy market and continues to invest in the emerging use of this technology. While RF energy covers a broad range of applications (Domestic and Professional Cooking, Heating and Drying, Ignition and Lighting), the new competence center’s current focus is on solid state cooking. Key to the success of solid state cooking in both consumer and professional applications is providing white goods manufacturers with local integration and application support. Ampleon closely works with leading companies in this market, having their design and production sites in China. As the Hefei region is already recognised as a major centre for scientific research in China, Ampleon chose this location to establish their RF Energy Competence Centre, headed by Vincent Frequin, Director of Ampleon RF Energy Competence Center. Ampleon has co-founded the RF Energy Alliance with its mission to “standardize, promote and educate target audiences in solid state RF energy systems as heating and power generators.” This will enable us to develop the associated markets with current and future partners and customers. Brighten Li (Chairman of the Supervisory Board of Ampleon), Reinier Beltman (CEO, Ampleon), Wang Xiang (Vice Mayor, City of Hefei), Anneke Adema (Dutch Consul-General, Shanghai), Song Daojun (Head of Hefei HighTech Industrial Development Zone).